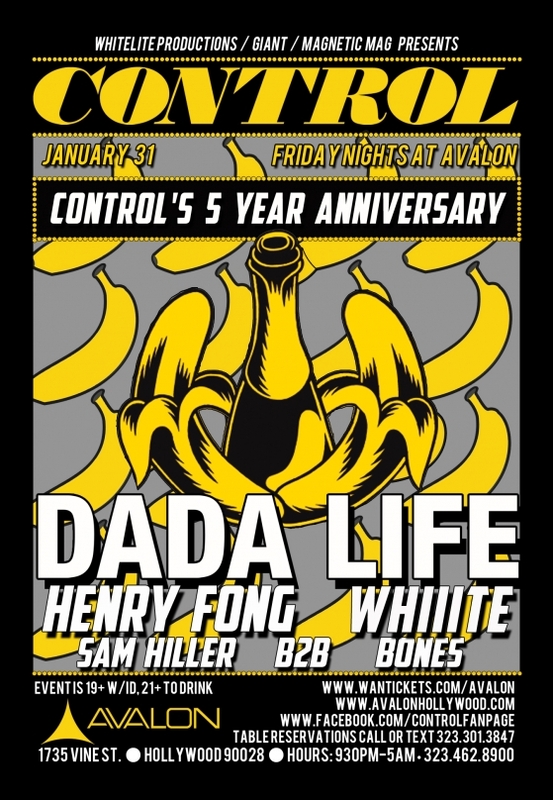 This Friday, January 31st, Control will be celebrating its 5 year anniversary at Avalon Hollywood. 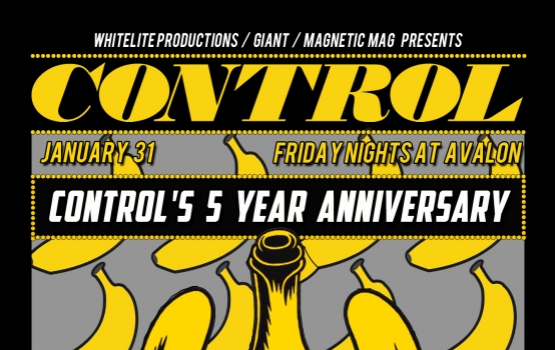 Over the past 5 years, Control has hosted 250 shows with over 400 different artists and remains the best weekly party in Hollywood. Friday night will be another sold-out event with headlining DJ duo Dada Life along with Henry Fong, Whiiite, and Sam Hiller b2b Bones. This promises to be an incredible night of diverse, bass heavy music by some of the top DJs in the game. As Dada Life puts it, prepare to arrive beautiful and leave ugly!